What happens if you ignore mounting debt? Business owners struggling to pay down their commercial debts often ask if there are consequences to ignoring the growing debt or the harassing debt collector calls. And while it may seem easier (and within your rights) to simply ignore the problem and rebuff your debt collectors, the debt never goes away. In fact, the process continues on, generally making the problem worse—increasing your debt amount, ruining your credit, and causing you to live in fear that the debt may eventually catch up to you. 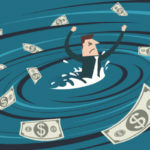 If your business is struggling with cash-flow problems, download our free guide to see how that may affect your credit. 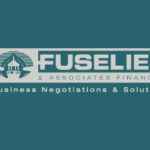 At Fuselier, we apply our years of experience to negotiate debt solutions that work for our clients, oftentimes saving them thousands of dollars. Contact us today to see how we can help you.